you decide what your tuition is. Valentine's Day is approaching and romance is in the air. No matter what your view on this most amorous holiday (love it? hate it? ), we think it's a great time of year to spend some time with books. Because, let's face it, sometimes love is a many splendored thing, but then sometimes love doesn't do us right; books, meanwhile, are always steadfast companions. 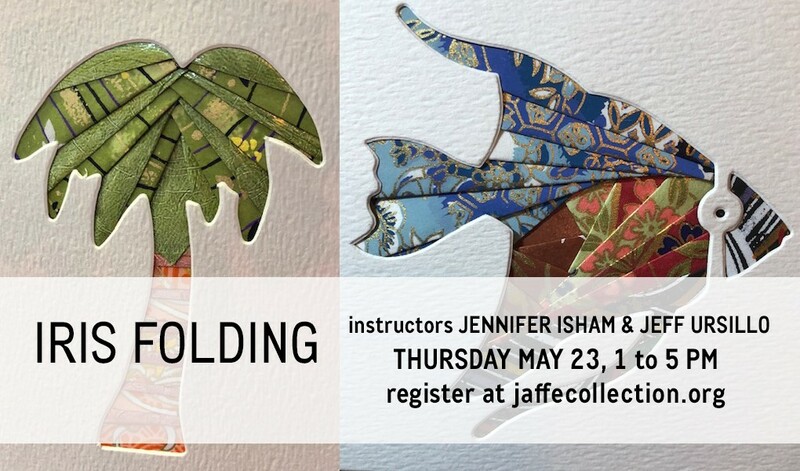 We'll explore the many facets of love and romance in this decidedly not sappy Valentine's Day book arts immersion workshop. We’ll begin with a screening of a 7-minute video that will introduce you to Arthur Jaffe and the Jaffe Center for Book Arts and the amazing collection of artists' books that is at its core. We'll follow this with an in-depth viewing of some of the artists' books in the collection––books that will entertain, inspire, and astound. We'll focus on volumes that Cupid himself would approve of. Expect a locally-grown Valentine story or two, as well, from the instructor's cache of Convivio Dispatches from Lake Worth. After a leisurely break for coffee and tea and treats, we’ll move on to the JCBA Letterpress Studio, where each participant will print a sheet of paper from type set by hand from JCBA's collection of historic wood type. These sheets will be the covers for the books we’ll make, a brief history of the book arts that we’ll bind by hand in the Single Signature Pamphlet stitch, a simple bookbinding technique that you can use again and again in your own book projects. You’ll go home with a book you made yourself––one that you can read as sleep calls later that night, as you reflect on the new outlook on books (and maybe even life) that you’ve found earlier in the day at JCBA. “For there is great joy in knowing how to do things.” All levels. 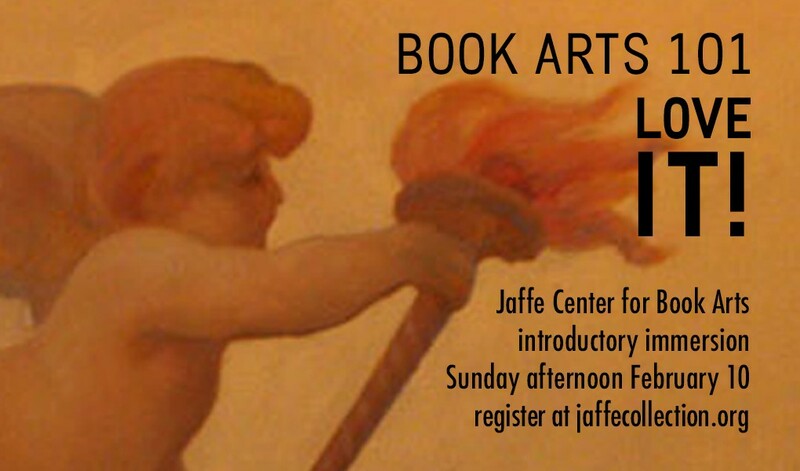 John Cutrone is Director of the Jaffe Center for Book Arts. He is a graduate of the MFA in the Book Arts Program a the University of Alabama. Aside from his work at JCBA, he is also a writer and a partner in Lake Worth's Convivio Bookworks, a book arts studio specializing in limited edition letterpress printed books and broadsides (www.conviviobookworks.com). He is the author of the Convivio Book of Days, a literary lifestyle blog encouraging us to live the ceremony of each day (www.conviviobookworks.com/blog).